Equipped with Smart Inverter Technology that ensures precise temperature control to evenly cook, reheat and defrost foods, the LG NeoChef Smart Inverter Microwave Oven boosts efficiency in the kitchen. 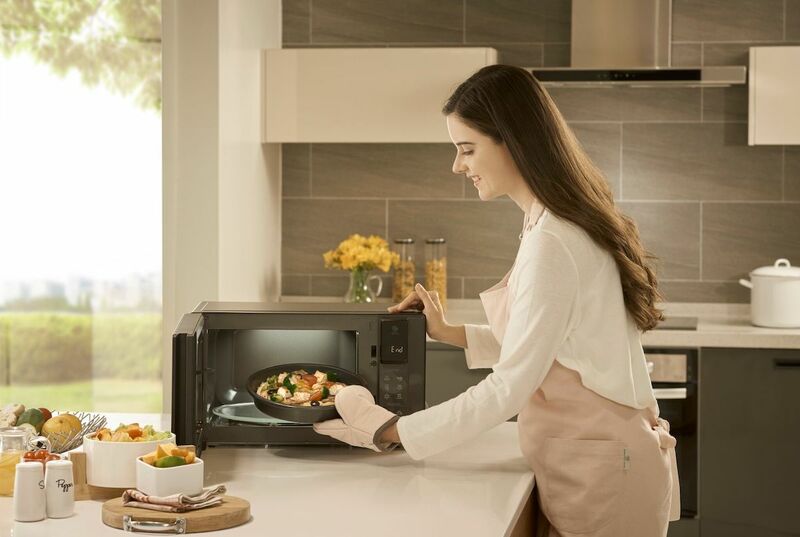 This is thanks to its 1200-watt maximum power output that gives the microwave the ability to cook dishes quicker than conventional models by up to 33%. Designed with just a single piece of tempered glass on the front and equipped with an Anti-Bacterial EasyClean coating that is able to eliminate 99.99% of bacteria, this chic and functional appliance is a must-have in all contemporary homes. More info about this product, find out here! Win! We are giving away an LG NeoChef Smart Inverter Microwave Oven worth $299. Simply fill up your particulars below and stand a chance to win! This has ended on 07 Oct 2018. Closing date for this contest is 07 Oct 2018. This contest is open to all SquareRooms online members residing in Singapore only.